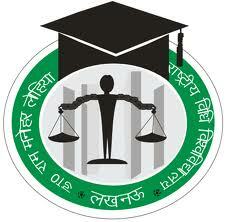 The Department of Law, University of Mumbai is conducting All India LL.M. Entrance Examination for admission into LL.M. (Two Years) Degree Course for the academic year 2016-2017. Candidates who have passed LL.B. Degree Course or those who are in the Final Semester of 3 or 5 years LL.B. Degree Course from the University of Mumbai or Other Universities are eligible to apply for LL.M. Entrance Examination. An application for LL.M. Entrance Examination for admission to the LL.M Degree Course must be made in the prescribed form to be downloaded from the University Website and duly filled in form be submitted to the Department of Law within the prescribed time and venue mentioned below. Admission of the students shall be made strictly in accordance with the merit in the LLM Entrance Examination subject to reservation policy of the Government and rules prescribed by the University. The LL.M. Entrance Examination Test paper will consist of 50 Objective type questions with multiple choice for total 100 marks. There shall be no negative marking for wrong answers. 11.30 a.m. to 5.00 p.m. Lunch Break 1.00 p.m. to. 1.30 p.m.
Mumbai – Specific Examination Centre will be displayed on the University Website in due Course. The Demand Draft should be drawn in favour of “The Finance and Accounts Officer, University of Mumbai,” payable at Mumbai. The Demand Draft should be submitted by the Applicant at the time of submission of duly filled in prescribed form in the “Office of The Department of Law, Room No. 126, University of Mumbai, Fort Campus, Mumbai – 32” either in person or by post. Candidate must Write Name, Address and Mobile Number on the backside of the Demand Draft. The application form for “LL.M. Entrance Examination” can be downloaded from the University Website.